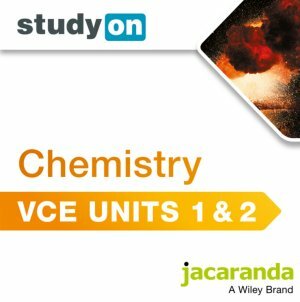 studyON VCE Chemistry Units 1 and 2 (Online Purchase) has been updated to meet and exceed the aspirations of the 2016-2021 Study Design. studyON is a unique exam preparation tool that enables VCE students to reach their full potential through a comprehensive range of online tools and features. New for Units 1 and 2, studyON VCE Chemistry Units 1 and 2 creates new opportunities to improve VCE exam results by implementing independent study, revision and exam practice in Year 11. • Sit exams: VCAA exam-style questions along with marking guides. Students receive instant feedback and can track their results at a concept, topic or whole-course level.